Xia Zhibing, 37, has resigned for "personal reasons" from his post as sales vice president at BYD, the Chinese automaker partly owned by Warren Buffett's Berkshire Hathaway. Analysts widely believe the real cause of his resignation is BYD's poor sales this year. 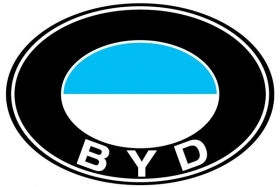 After nearly doubling in 2009, BYD sales rose only 17 percent in 2010, trailing the industry's 32 percent increase. And in the first six months of 2011, company sales dropped 20 percent to 242,419 units, according to J.D. Power, while the industry rose 3 percent.